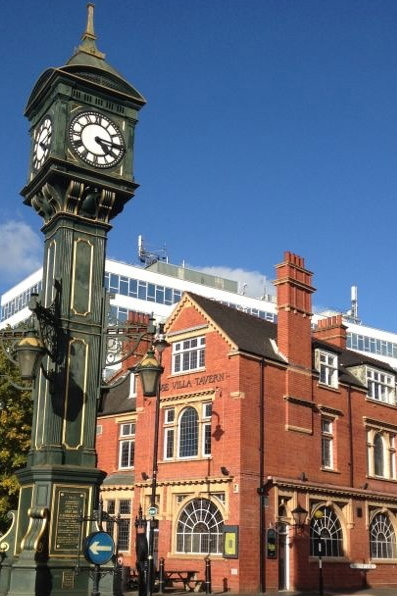 The Jewellery Quarter which is 15 minutes on foot from the city centre, is packed full of places to get excited about. Not just the 400 odd Jewellery stores and companies specialising in gems and precious metals, but also a range of bars and restaurants, and architectural delights. Andersons Bar & Grill – fantastic basement steak house. Read our review. The Jam House – A music lovers venue with a restaurant attached. It used to have a fantastic reputation but I’ve heard mixed opinions of it lately, I will try it soon and review it. Cucina Rustica – Italian restaurant, which comes highly recommended. Locanta Italian – can’t comment. Actress & Bishop – another popular pub / music venue. The Rectory Bar & Restaurant – lovely food and outdoor seating to relax on in the summer. The Queen’s Head – a nice friendly pub serving food and beer with a smile. This place is just a two minute’s walk from St. Paul’s Square – what the estate agents call “St. Paul’s Square Adjacent”! 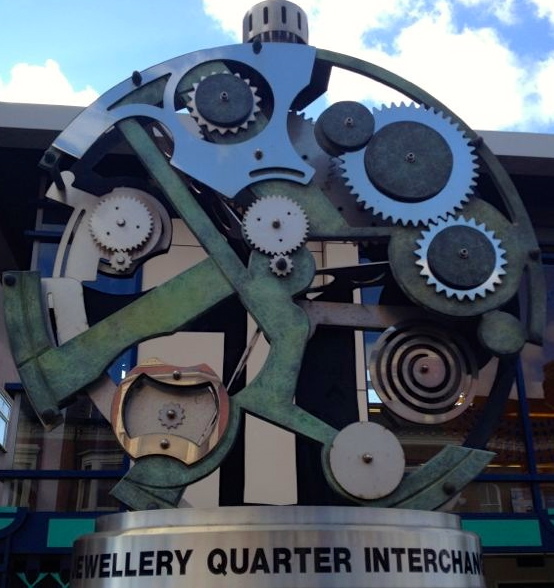 A ten minute walk from St. Paul’s Square is where the Jewellery Quarter is really at – there are dozens (hundreds?) of Jewellery stores and you’re bound to find a specialist in whatever you’re after if you ask the friendly staff in one of the stores. Don’t forget to check out The Museum of the Jewellery Quarter on Vyse Street. It’s part of the Birmingham Museum and Art Gallery Group. The Rose Villa Tavern – trendy cocktail bar and gastropub, part of the small Bitters And Twisted Birmingham chain. The Red Lion Bar – friendly pub serving food, one of two Urban Art Bar venues. The Lord Clifden – ten minutes by foot from The Chamberlain Clock, on quite a dodgy street, this is the sister to The Red Lion. It serves great food and there’s fantastic outdoor space, some of it heated, a ping pong table and a football table. It has some fab art and lovely customers. Try the sunday lunch – it’s excellent. I’d definitely class this as a hidden gem, so shhh, I don’t want it getting too popular. The Drop Forge – restaurant and upmarket bar, complete with a lovely roof terrace. Cafe Neo – where my friend Richard has reliably eaten breakfast for the past 200 years. Mmmmm, bacon. 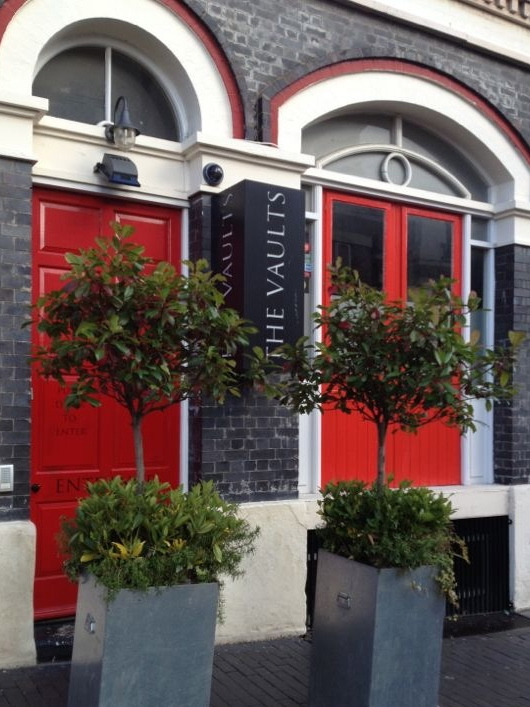 The Vaults – restaurant and bar, aimed at the affluent Jewellery Quarter dwelling set. They’ve just started a tapas menu. Portofino – Italian, not been, can’t comment.